✅ READY FOR USE IN 45 SECONDS- Just Add Beans! 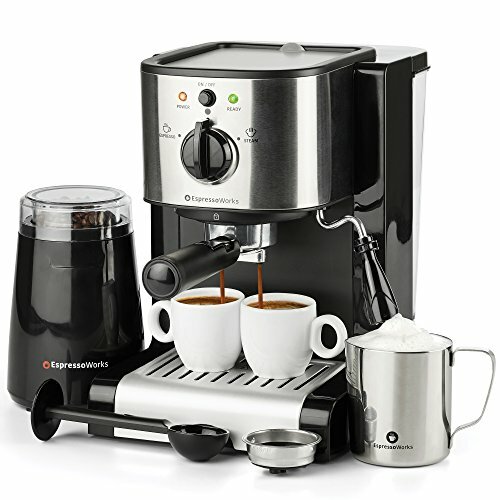 With the advanced Thermoblock fast heating system you can always expect precise temperature and instant steam from the EspressoWorks All-In-One Set. ✅ CLEAR VIEW REMOVABLE WATER TANK- Conveniently monitor water levels of clear view transparent tank (1.25L capacity). Handle included on tank for easy removal for cleaning and refilling.